Eyelash extensions are single strands of synthetic hairs which are applied directly on top of existing eyelash. The lash specialist must apply these hair strands with medical grade glue one at a time to create a longer and fuller look. What happens if I have an allergic reaction? If you feel that you may be allergic or have a sensitivity to glue or lashes it is recommended to come in for a patch test prior to your appointment. If you decline to come in for the prior patch test and have an allergic reaction to the glue or lashes there will be no refund applied. We will gladly take them off and apply them with our sensitive glue. If irritation or pain is excessive please go see a doctor. We hope that you understand we have provided you with a service and gave you the ability to see if you have any allergies before coming in. Can I apply Mascara with eyelash extensions? It is not recommended to wear any type of mascara even if its eyelash friendly, eyelashes will stiffen and ruin the fluff of your extensions. Please no waterproof mascara or any type of oil-based mascara as it can dissolve the bonding agents in the glue and shorten the life of your eyelash extensions causing them to fall out. Only use an oil free based eye makeup remover and baby shampoo. 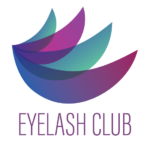 We do not recommend using mechanical eyelash curlers on your eyelash extensions as these curlers will damage the extensions and possibly your own natural lashes. The extensions do have a natural curl but if more of a curl is required talk to your lash tech about using a different curl for your lashes. Do not play with the eyelash extensions! Your eyelashes shed naturally, so when you have eyelash extensions this will help push them off. If an extension looks out of place, avoid playing with it, twisting or pulling it off as you run the risk losing your natural lashes. It is important to let them fall out on their own, if needed use a mascara wand to gently brush them back into place. What are the most common types of hair used for lash extensions? There are three types of lash extensions: synthetic, silk and mink. Size availability ranges from 6mm to 17mm. A semi-permanent glue is used it should not irritate the eye nor damage the natural lash. However, since allergic reactions are possible, there are several types of glue based on one’s sensitivity. How long does the eyelash extension application take? The application period depends on the technicians experience it should take anywhere from 1 to 3 hours depending on style and fullness of the lashes selected. How to take care of eyelash extension? Do not get them wet for at least 48 hours. No steaming or tanning in the first 48 hours. No waterproof mascara. Use oil free makeup remover. Do not curl your lashes. Do not rub your eyes or sleep on your face. Clean lashes with baby shampoo. If you experience any burning or discomfort during the procedure, causing your eyes to cry, this is a major red flag and you need to let the nail technician know right away. you may be having an allergic reaction to the glue. Getting lashes done correctly is pain-free and relaxing. How fast should my lashes fall off and why do I need a fill? Eyelash hair follows a three-phase growth cycle and eventually fall out, which is typically nothing to worry about. Depending on the cycle of your lashes anagen phase is the growth phase. This is the phase when the lashes are actively growing, and last between 30 and 45 days. The catagen phase is also known as the transition phase. During this phase the lash stops growing, and the follicle shrinks. This phase last between 2 to 3 weeks. The Telogen phase is referred to as the resting phase. This phase can last more than 100 days before the eyelash falls out and new one begins to grow. If I don’t like my lashes can they be removed? A special lash remover solution must be applied safely to remove lashes. This is about a 30-40-minute process and typically an additionally $30 fee. Can lashes be applied to the bottom? Although not very common, lashes can also be applied to the bottom for additional pricing.